Have you tried multiple “group fitness” classes in Santa Barbara, yet haven’t found one that fits your style and needs? Did bootcamps feel like they were over crowded, unchallenging, and “clique-ish” while CrossFit was just a little over the top with everything they do? 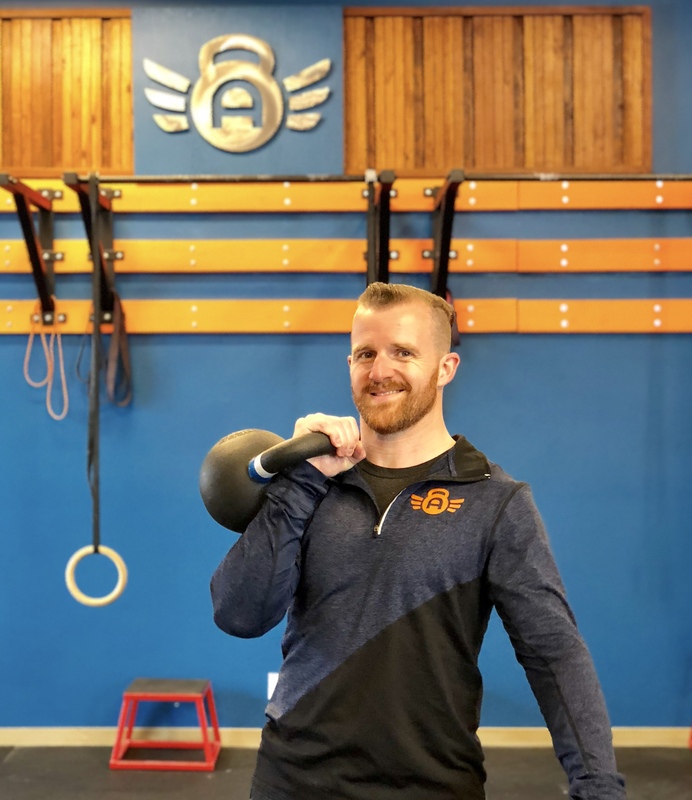 Let me welcome you to Alaris Fitness – Santa Barbara’s ONLY Kettlebell gym dedicated to small group training and running programs. I developed our training approach after many years of feeling like Santa Barbara simply didn’t have a gym for people who wanted small, reasonably priced classes, with quality, strength focused workouts without the “over the top” atmosphere. This is a gym where you are honestly challenged, where strong is celebrated, and where all body types and abilities are embraced with open arms. Most of our work is centered around Kettlebells. Kettlebell training is so incredibly different from any other form of training I’ve personally experienced, and I firmly believe this simple tool and simple approach to fitness is great for helping people of all backgrounds get in shape or improve in their primary sport – whether it’s chasing kids, running, roller derby, or even fighting. Most importantly, we do this in a SMALL group setting (when was the last time you were in a group class capped at 8-10 people?). The ability to actually coach, correct, and inspire each individual who walks through the door are the most important goals of Alaris Fitness. It’s semi-private training at it’s best. We’re also Santa Barbara’s only group running program designed for beginner to intermediate runners. As someone who didn’t start running regularly until after college, I wish I had a safe space to ask any and every question I had, but that just didn’t exist. I found for many beginner to intermediate runners, simply having a safe space to show up and consistently workout produces great results. I know what we do is different, and I hope you’ll be inspired to find yourself here too. It’s funny how we set out on our life’s journey thinking we want to do one thing, then allow life to take us in a completely different direction. That’s me. I gave up the traditional 9-5 job because I wanted to scare the crap out of myself by opening a gym that focuses on putting people first. Becoming a coach after what was a pretty grueling career path has really given me deep insight into what personal and physical struggles we all face. Life is truly too short to let obstacles get in between you and your dreams. I know there are great days, and there are frustrating days, but today is today, and we can’t compare it to yesterday or tomorrow – being present in the now is all we can do. 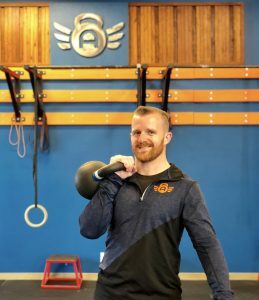 My background is rooted in distance running, but the past few years I have developed a deep respect and appreciation for what proper kettlebell training can do for people of all backgrounds – which is why I became a StrongFirst instructor (one of the hardest/most respected certifications in the country). When I teach something, I believe in having a full and deep understanding of it, which is why I have immersed myself in these disciplines. Also, I don’t believe there is only “one right way” to be fit, which is why I try to deeply immerse myself in many theories of training. No two clients are the same, and my approach is really about finding where YOU are TODAY. I pledge that you will have my unwavering support every time you step foot in Alaris Fitness, because your success is my inspiration, and my goal is to make you the stronger, faster, better version of yourself. I love what I do—that’s the simple answer to why I became a coach. I absolutely love it. I get to show up each day and work with a wonderful coaching staff, and watch our clients grow and prosper with their new strength and health. I’m constantly learning about the latest discoveries in the fitness industry and I am grateful for the satisfaction that comes from knowing I play a role in someone’s journey to better themselves. Coaching allows me to combine my enthusiasm for health and fitness with my love for teaching and opening people up to new experiences and possibilities. As part of the team here at Alaris Fitness, my goals are to endow our clients with a love for challenges and accomplishing goals. I want them to appreciate the perseverance it takes to achieve something of meaning and the feeling of accomplishment once they’ve done so. Athletics and strength have always been a part of my life. I have spent almost 30 years playing soccer and, in that time, put a lot of effort into developing my speed and strength, both on and off the field. 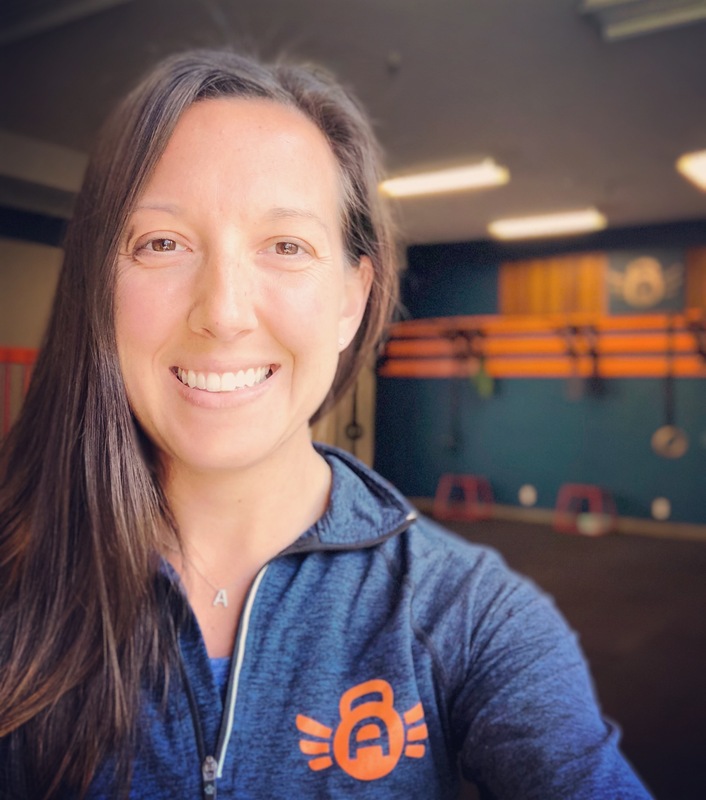 When I found CrossFit, or more appropriately, when she found me, I was working down the street from a small gym that was just about to open its doors for the first time. Discovering CrossFit and beginning my career as a coach was a turning point in my life that I never saw coming, but it has been one of the best things to ever happen to me. As I grew into myself as a coach I began to see this rewarding career path take shape. I continue to derive a great deal of enjoyment in helping people achieve a better quality of life through health, wellness, and the community we have here at Alaris Fitness. As Ghandi once said, “The best way to find yourself is to lose yourself in the service of others.” Eight years ago I found out just how true that can be.